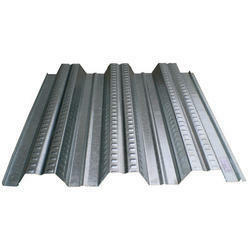 Our company holds vast experience in this domain and is involved in offering Metal Roofing Sheet. In our extensive product range, we are highly engaged in manufacturing a quality-approved range of Metal Roofing Sheet. We Provide any brand as per customer requirements. The range of Metal Roofing Sheets that we are offering is available in various delightful, pleasing translucent and opaque colors. Available in various standard as well as non standard sizes and thickness, these are used in several applications, such as swimming pools, gardens, terrace, open to sky areas, parking area of multi stored building aand shopping complex.